Vadehra Art Gallery is delighted to present the solo exhibition of artist and filmmaker Madhusudhanan titled Penal Colony. 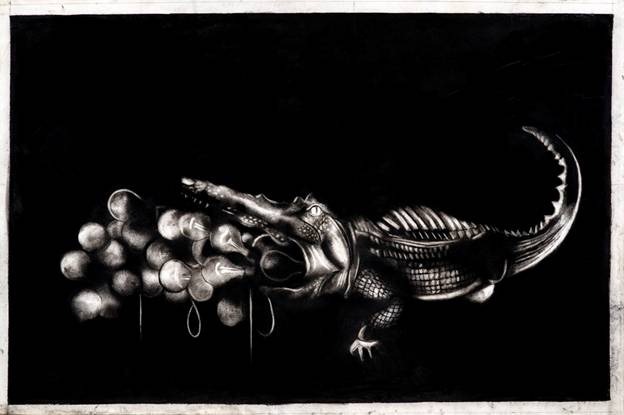 Following his participation at the Kochi Muziris Biennale 2014 and India Art Fair 2016 this will be Madhusudhanan first solo show in the country. The exhibition title – Penal Colony – drawn from Franz Kafka’s short story titled ‘In the Penal Colony’ sets the stage for a set of layered references and critiques on colonization and its impacts, and the underlying characteristic of leisure/pleasure in the colonial project. In Kafka’s story the central theme is of a mechanical instrument designed to kill a man (the Condemned) after a prolonged 12 hour period of torture. Using Kafka’s story as the background Madhusudhanan relooks at the ‘Wagon Tragedy’, the 1921 massacre in Kerala under the British rule, which saw the brutal arrest and death of 70 rebels/prisoners. 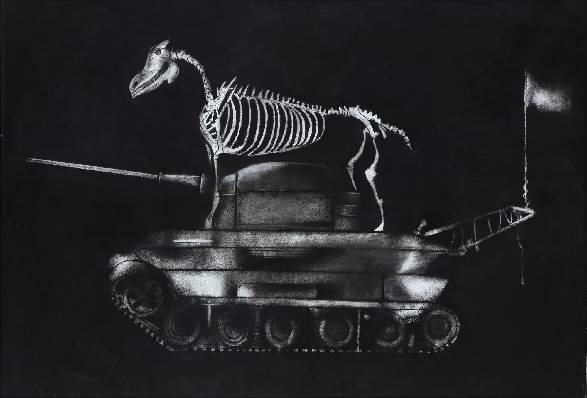 Madhusudhanan’s journey back into this moment in history makes a case for art’s capacity to revisit, examine, and comprehend moments in history as a means to recognizing and grasping the context of violence and turmoil that is occurring globally today. The incident from the night of November 19, 1921, when the British brutally arrested and confined a 100 people into a small train wagon, leading to the death of 70 people, is not just the subject matter here but a way the artist offers to recalibrate our understanding of violence and the many guises it takes. Through the use of myriad motifs the artist offers a nuanced understanding of violence - as a complex set of behaviors and acts, carefully constructed and justified, and sometimes even enjoyed as entertainment. 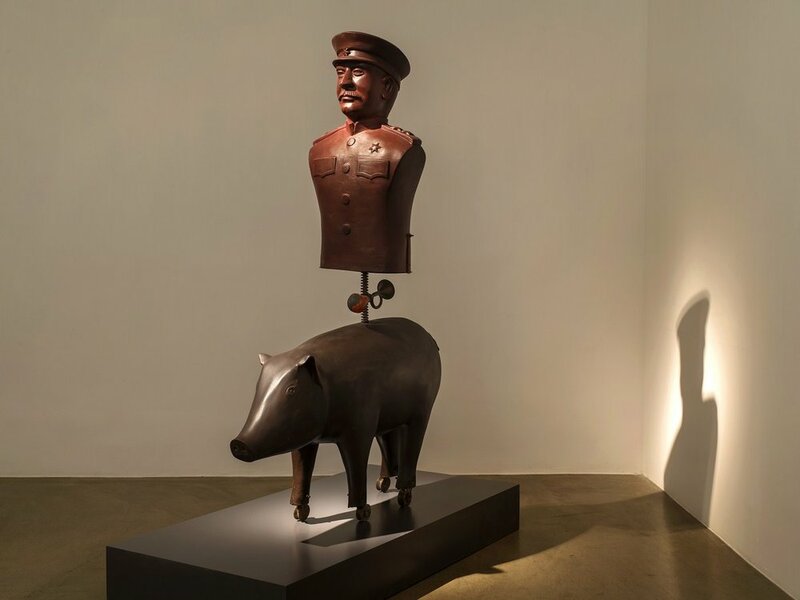 The reference to Kafka’s execution device further hints at the role of machines and technology in these incessant acts of violence and death. 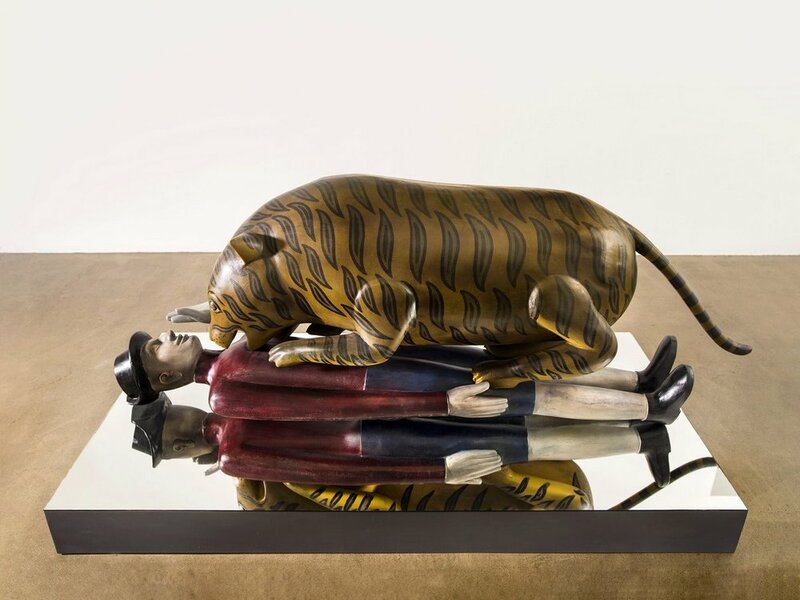 Alongside the ‘Wagon Tragedy’ the artist also makes reference to Tipu Sultan’s Tiger, a mechanical toy and musical instrument that shows a tiger tearing into a life-sized European man. Death here is a slow and amusing process, an instrument of entertainment and leisure for the civilized man. 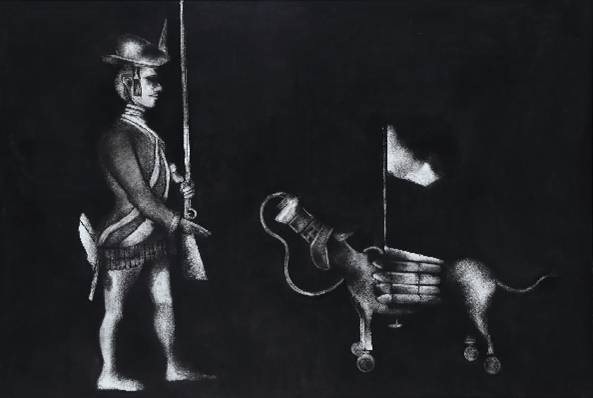 Born in 1956 in Allapuzha, Kerala, Madhusudhanan studied Painting from Fine Arts College, Thiruvananthapuram, Kerala, and Print Making at the Faculty of Fine Arts, MS University of Baroda, Gujarat. His artistic practice flows seamlessly across various mediums in art and cinema, including video art and narrative feature film. 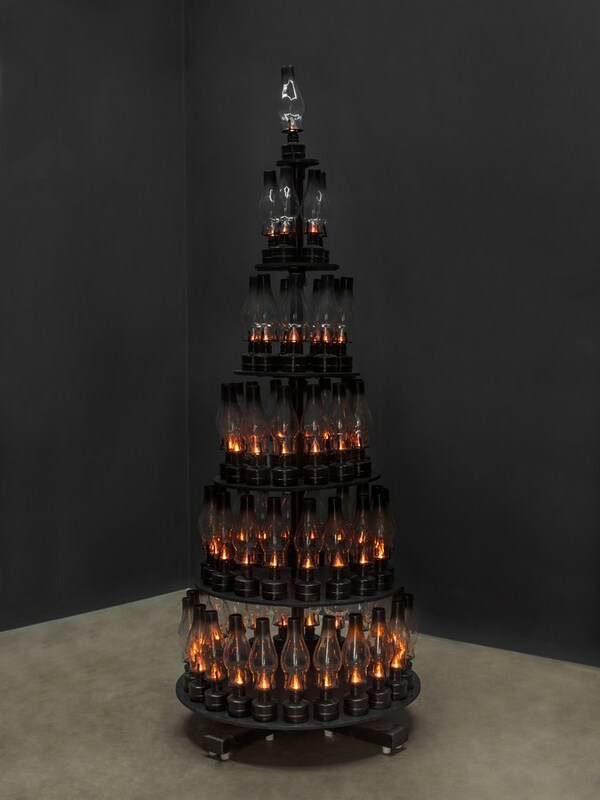 His work confronts India’s film history, her colonial period and contemporary war politics. He is deeply concerned with war, colonization, and man-made borders. 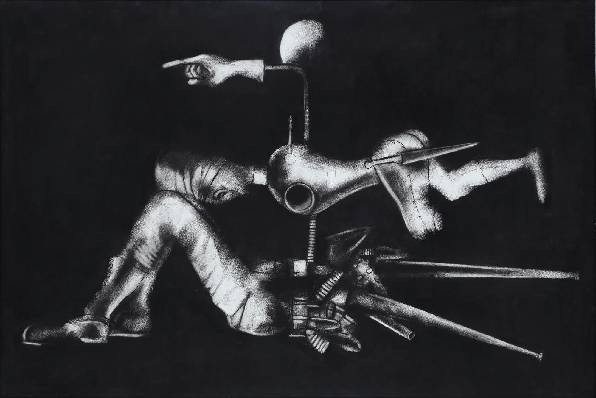 Marxism and Buddhism have been decisive influences on Madhusudhanan’s art. 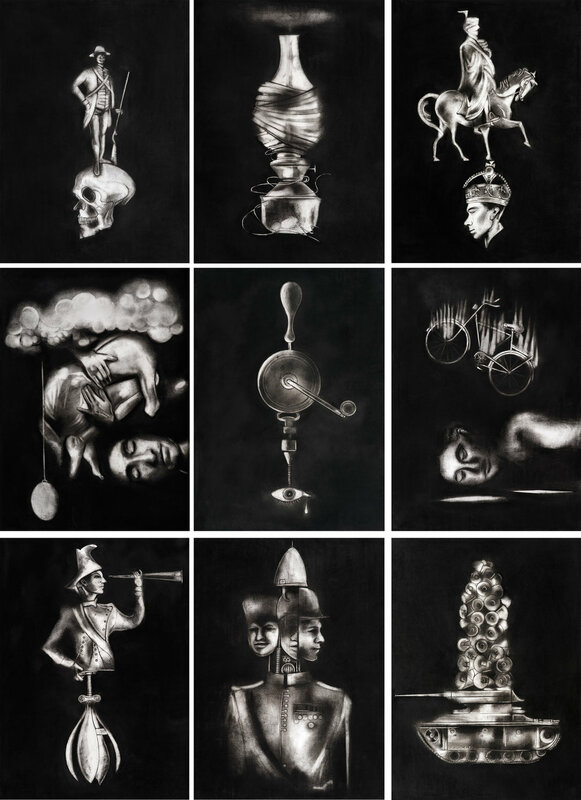 Madhusudhanan’s installation of 90 charcoal drawings titled The Logic of Disappearance - A Marx Archive has been shown at the Kochi Muziris Biennale: 'Whorled Explorations' 2014-15, curated by Jitish Kallat, , and in a solo exhibition at Baltic 39, Newcastle, as part of the AV Festival 2016. The series Penal Colony has been shown at the Venice Biennale: 'All the World's Futures', 2015, Curated by Okwui Enwezor, and will soon open at Vadehra Art Gallery, New Delhi (2016-17). As a filmmaker he has made films in English and Indian regional languages, as well as two silent short fictions. He is recognized for his unique personal style in engaging with the historical subject and evoking cinema’s magical powers. Significant contributions include Self Portrait (Short Fiction, Hindi, 2001) and History is a Silent Film (Short Fiction, Silent, 2006), both of which were recognized as Outstanding Films from International Festivals, by MoMA. His 2008 film Bioscope received multiple awards including significantly from the Kerala State Film Awards; Mannheim-Heidelberg International Festival, Germany; SAIFF, New York; OSIAN Cinefan International Film Festival; and the National Award (Special Jury Award).